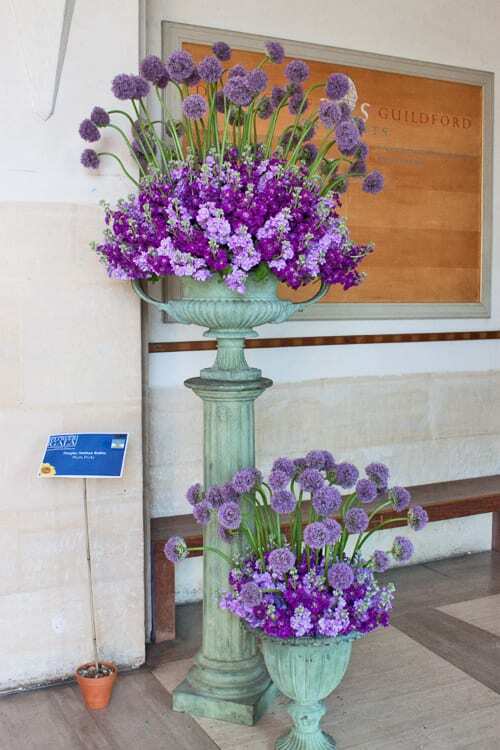 I hope you enjoyed my two blog posts (Part 1 & Part 2) earlier this week featuring floral designs by Paula Pryke at Guildford Cathedral Flower Gala. 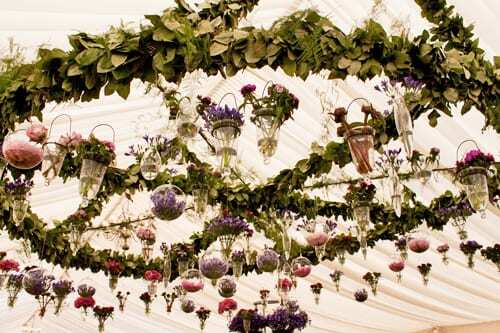 Here is the last part featuring two more of Paula’s arrangements inside the cathedral, and one which was installed in one of the marquees. The first designs below were at the entrance, greeting visitors as they walked in. 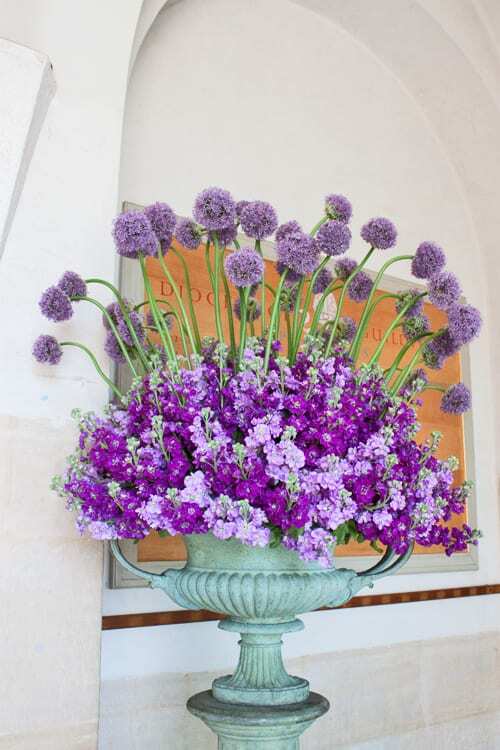 I loved the tonal colour palette and the contrast in height and texture of the alliums and stocks. 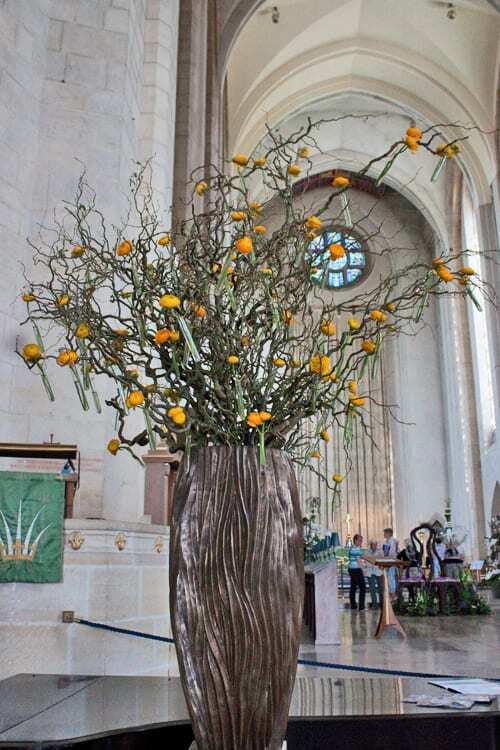 The arrangement below was created using stems of yellow ranunculus in glass test tubes, which had been attached to the branches. Isn’t the bronzed container wonderful? 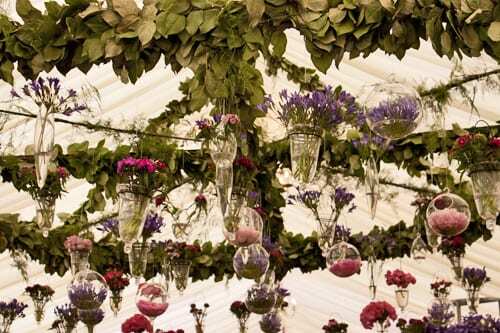 Many congratulations to Paula and her team for creating such wonderful floral arrangements. If you’d like to keep up-to-date with Paula’s news, she’s on Twitter and Facebook. 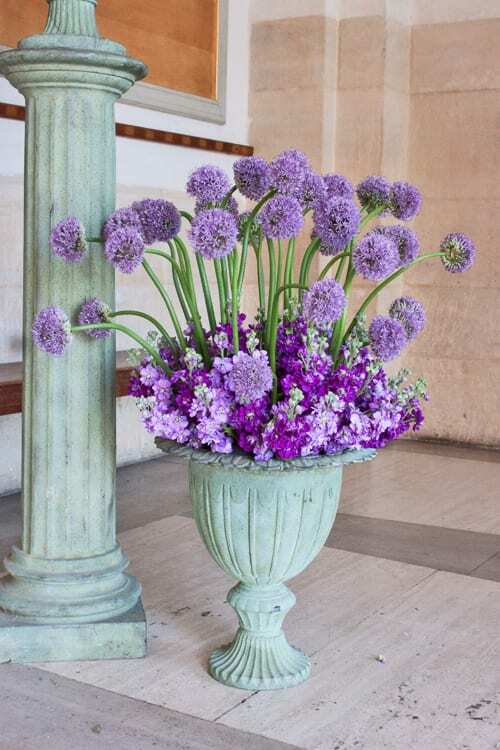 Later today, I’ll be featuring more blog posts from the Guildford Cathedral Flower Gala. But beforehand, there will be a post about my interview with Shane Connolly at Heal’s on Tuesday evening.